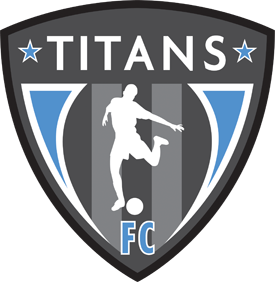 Sting Soccer Club & Titans Futbol Club are excited to announce our Spring Academy tryout dates January 21,22 & 23rd. Players born 2009-2012 looking for high level training are encouraged to attend these dates. Week 1 of our Academy will begin February 4th. Sting/Titans Academy will be structured in age group pools. The Academy program is an alternative to the traditional recreational team program. It offers players the opportunity for advanced development in soccer through a progressive and sophisticated curriculum and unique academy structure. The Academy is committed to providing the correct environment and structure to create a well-rounded, Competitive Soccer ready player. The Academy follows a training curriculum that is innovative, challenging, and FUN. The unique structure of the Academy and the distinctive nature of the curriculum is conducive to optimum player development. The objective of the curriculum is to develop each of the four foundational components of a soccer player: Technical, Tactical, Psychological, and Physical in a progressive and age appropriate manner. The Academy is a challenging and rewarding experience for the players involved and serves as a bridge to Competitive Soccer. The Academy Staff are licensed coaches that pride themselves on providing a FUN & SAFE learning environment that facilitates player growth and passion for the game. The spring season will be a 12 week program including 2 training sessions per week that will take place Monday & Wednesday’s with a game environment on Friday evenings. All Sting/ Titans Academy will play an in house model. We will also organize events where our Corpus Academy group will compete against other Sting/Titan academy programs as well as other clubs within South Texas. Academy players can participate in a local recreational program in addition to participating in our Academy. The Sting/Titans Academy will NOT accept every player that attends tryouts, we will make a decision based on what we feel is the best ﬁt for each individual player and their development. If a player is NOT accepted into this program we will encourage them to participate in a local recreational program. There will still be time to register for recreational programs if your player does not make the Sting/Titans Academy.